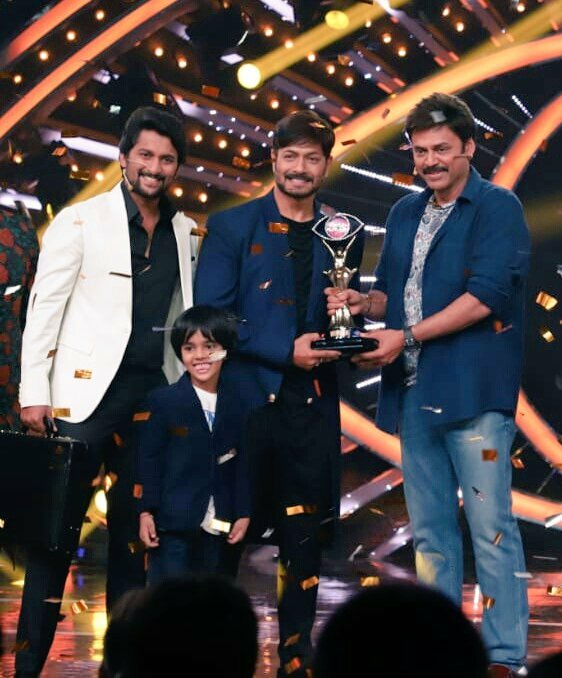 Kaushal Manda who has been a buzz in the social media at last wins Telugu Bigg Boss Season 2. He has been in YouTube, Facebook, Twitter and most popularly on T shirts. His fan base has quad tripled and Bigg Boss 2 has been most popular in terms of TRP. As expected Geetha Maduri is the runner up in the show. Kaushal might not be aware of Kaushal Army and their walks. It is worth mentioning here that, Kaushal army which was formed by his fans took rallies across the city in support of him. Bigg Boss 2 Telugu winner Kaushal Manda has bagged numerous votes and emerged as the most voted contestant of all the Bigg Boss seasons in the country regardless of the language. There is also a buzz doing rounds that Kaushal got 39,98,50,000 votes which constitute 78.9 per cent of the total votes of Bigg Boss season 2. Meanwhile, Geetha Madhuri who emerged as runner-up got 11 per cent of total votes, it is reported. 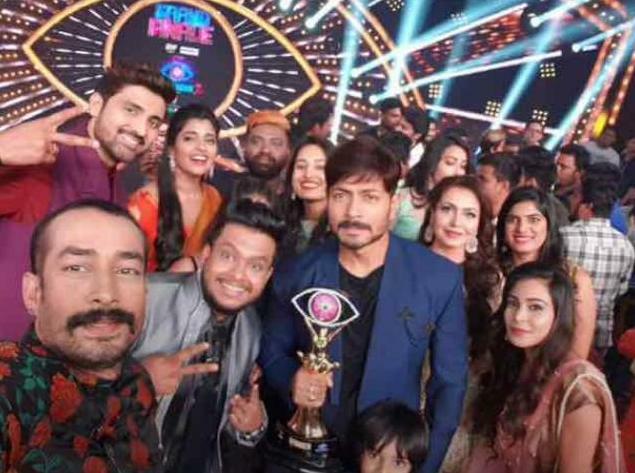 Without giving much excitement or curiosity, the show organizers have honoured Kaushal with the winning title. Kaushal was also given an amount of 50 lakh rupees as a prize money. Actor Venkatesh has come in to announce the winner but doesn’t do it. Naani also visits the house when the two finalists are waiting inside the house. He then brings them out of the house. The Bigg Boss team announces the winner in the TV by flipping the photos. At last Kaushal Manda’s photo is paused and is declared the winner. The best part is Kaushal has donated the Prize money to Cancer Patients. His mother has died of cancer due to which he has take n this decision. This is why he could have won so many people. Kaushal is known for his cool attitude and composed nature. He has got a huge fan base that no one has ever expected. 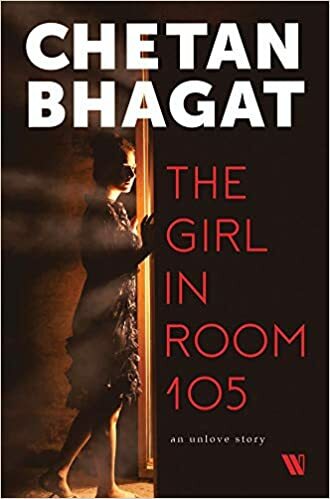 It should be seen if all the popularity and the title can help him start a new phase in a career. Bigg Boss TV show steadily grew bigger on the Telugu screen in spite of the negative reviews in the beginning. It was in the third week that Kaushal started tasting a new popularity in the public. Samrat stays 5th, Deepthi Nallamothu stays 4rth and Tanish stays 3rd runner ups. All of them were eagerly waiting for Bigg Boss 2 Winner. Not until Naani the host announced the Bigg Boss 2 Winner as Kaushal Manda. Roll Rida receives ‘Happiest Person in the House’ award on the show. Whether it was his aggressive outburst in the tasks or his emotional, heartfelt confessions in front of the camera, his behavior helped him and the show garner a lot of attention outside the house. Kaushal got a massive fan following and also his fans named it as Kaushal army. 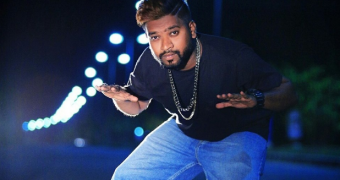 The audience loved him to the core, a proof of which is the fact that he had survived so many evictions and is safe in spite of Geetha Madhuri Nominating him for the whole season.